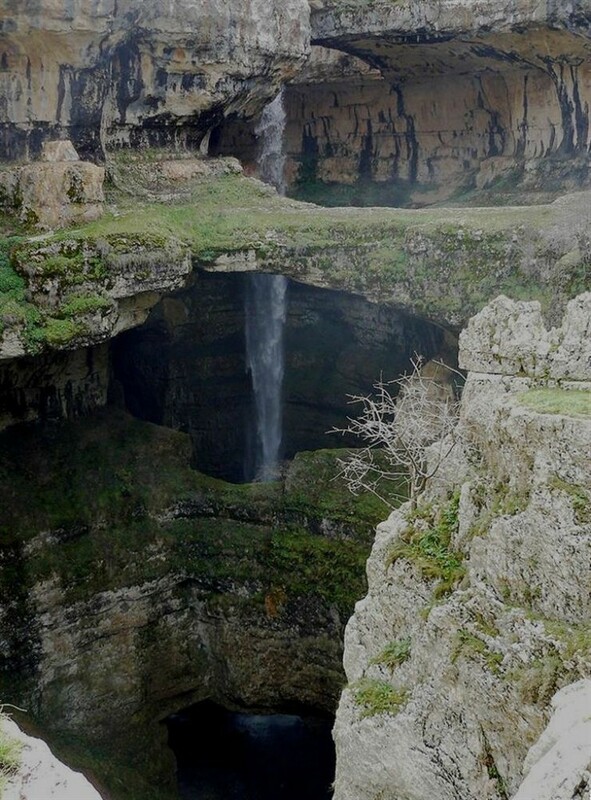 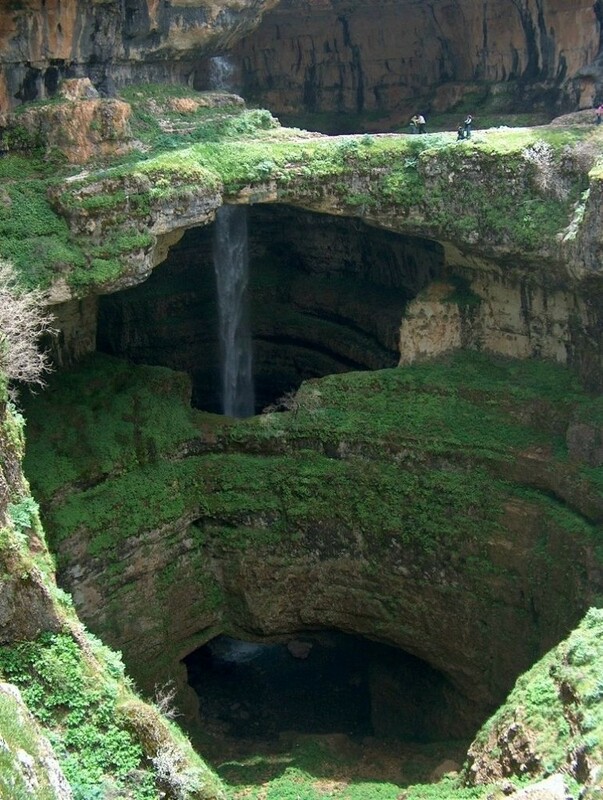 Discovered in 1952 by French bio-speleologist Henri Coiffait, the waterfall and accompanying sinkhole were fully mapped in the 1980s by the Spéléo club du Liban. The cave is also known as the "Cave of the Three Bridges." 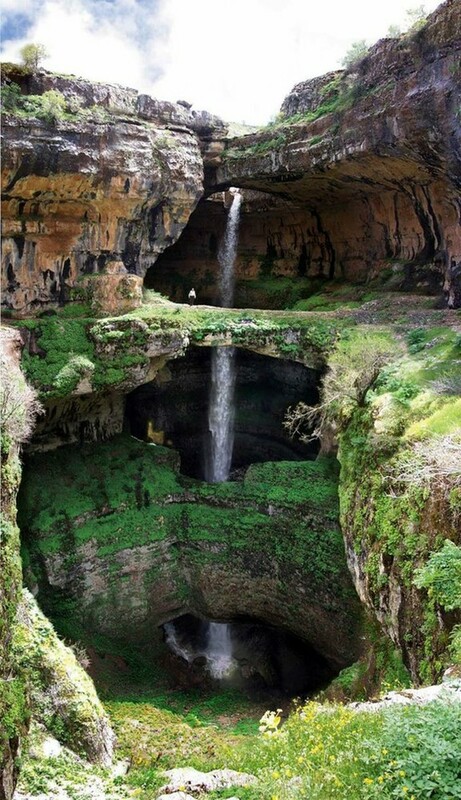 Traveling from Laklouk to Tannourine one passes the village of Balaa, and the "Three Bridges Chasm" (in French "Gouffre des Trois Ponts") is a five-minute journey into the valley below where one sees three natural bridges, rising one above the other and overhanging a chasm descending into Mount Lebanon. 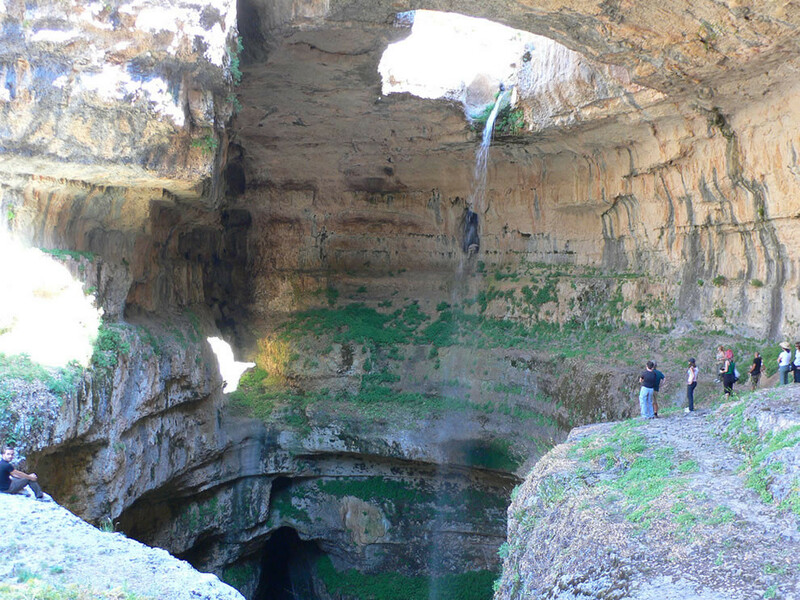 During the spring melt, a 90–100-metre (300–330 ft) cascade falls behind the three bridges and then down into the 250-metre (820 ft) chasm. 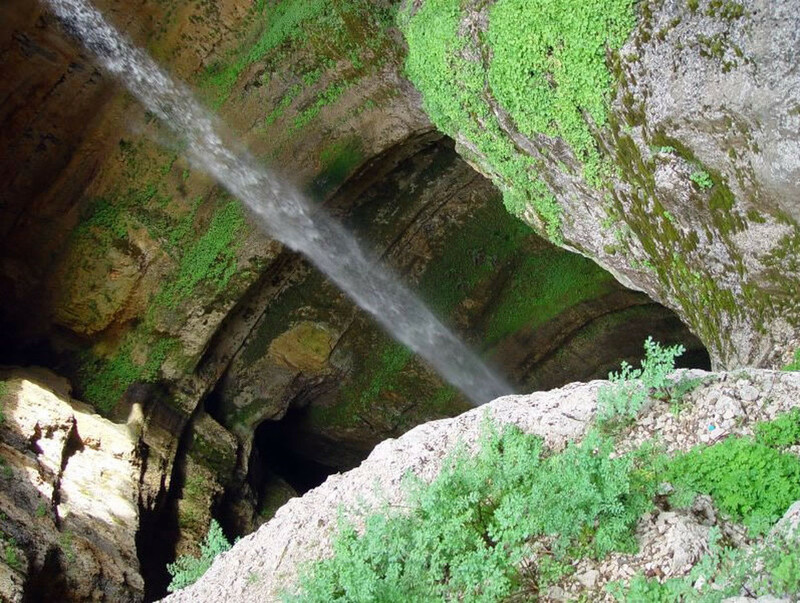 A 1988 fluorescent dye test demonstrated that the water emerged at the spring of Dalleh in Mgharet al-Ghaouaghir.